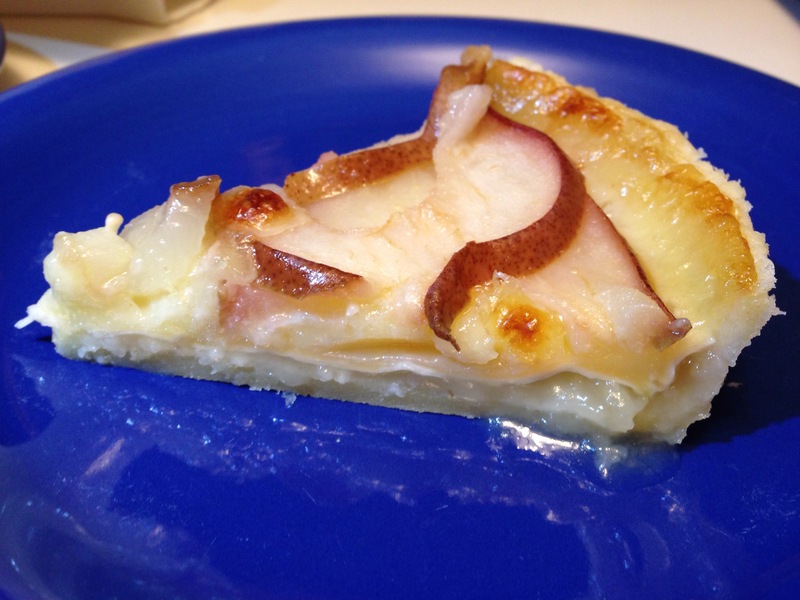 Pear-Brie Tart is a not-so-sweet dessert – a bit like combining the cheese and fruit courses in a flaky pastry shell. My husband is not convinced, but I quite like it, especially followed by a little nip of Amaretto or brandy. 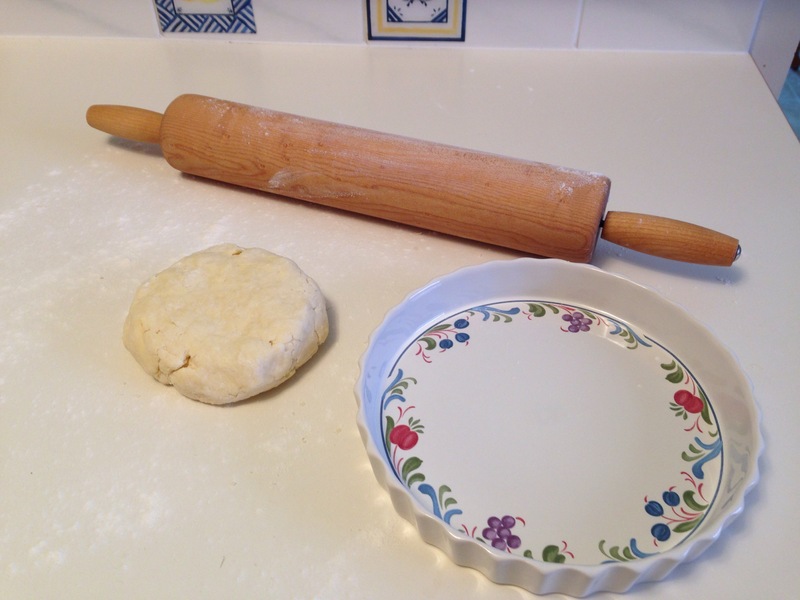 This is my go-to pie crust. 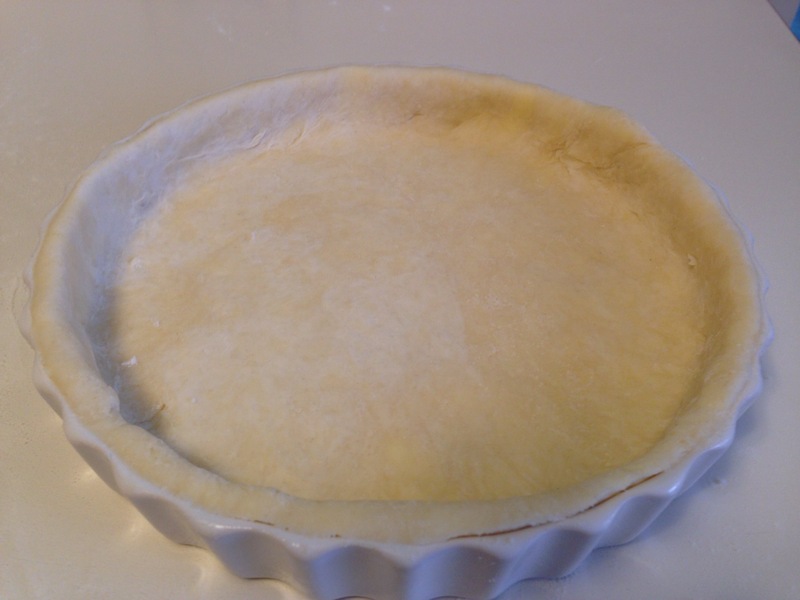 For a full pie, I double it, but this is about right for an 8″ tart dish. Cut the butter into the dry ingredients. Add water and vinegar and bring pastry together. Do not overwork. Roll out and fit into an 8″ dish. 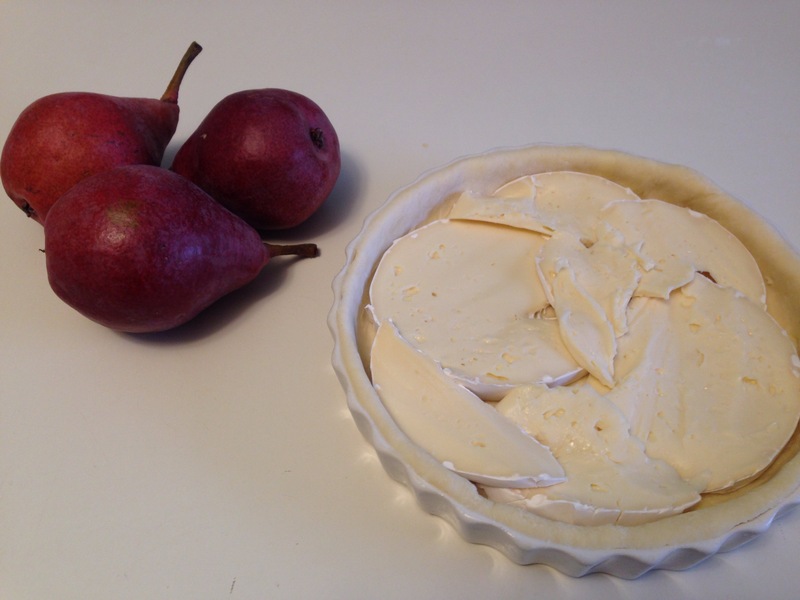 Line the crust with the Brie and top with pears. Warm and honey and stir in 2 Tbsp. Amaretto. Pour over the pears. 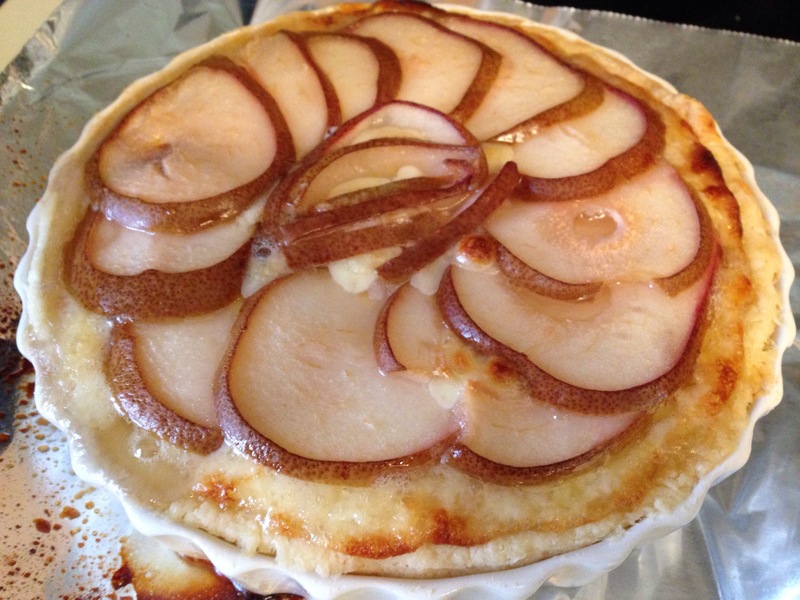 Bake at 400 degrees F for 50 minutes, until crust is flaky and filling is bubbly. 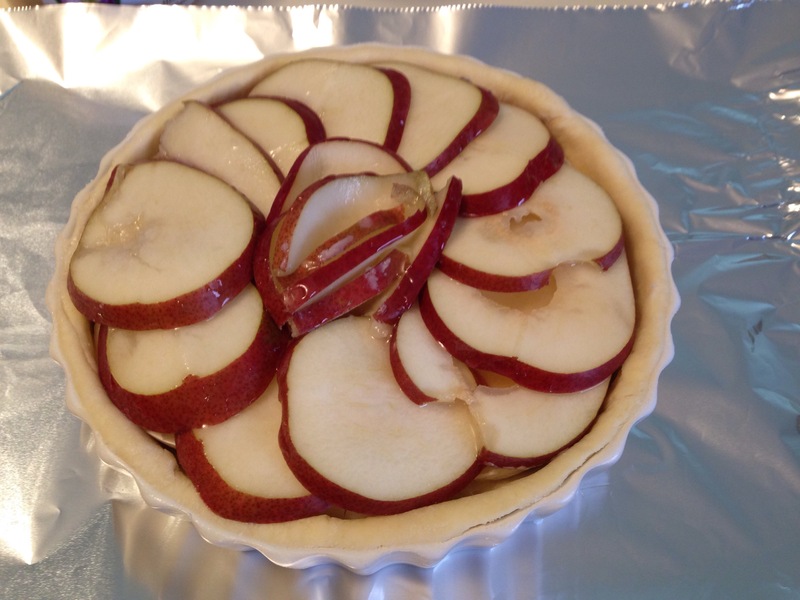 This tart looks so delicious to me! What a great combination of flavors. It is so pretty, too. Thanks for sharing it! I’d be happy to eat your husband’s portion! Or two or three! My daughter beat you to it!